What’s that old saying? You choose your friends not your family? So how do you in fact go about ‘choosing’ your friendships? As I’ve watched my children develop their early friendships, a lot of it has been about common interests with regards to their play. So, for example gravitating towards other children who are creative with their play, or who like a particular type of toy and so on. As they get older some of those friendships have remained and they have broadened their friendship groups to others with similar personalities, or complimentary personalities as them. This has included both girls and boys for all the children. None of the children have ever gravitated to a particular gender which has been really nice as there always seems great balance in their friendship groups. Whilst personalities may be similar, interests may differ, sometimes significantly but because their personalities either match or compliment each other, they seem able to both value each others strengths and support any weaknesses. I think this mirrors quite well my friendships as a child. My closest friends were not those I did all my hobbies with but those I either shared traits with or those where we worked well as a little team and valued each other. I guess that the same is probably true of relationships later in life. What do you think about personality and compatibility in friendships and relationships? Relevant at all or not something you’ve ever considered? 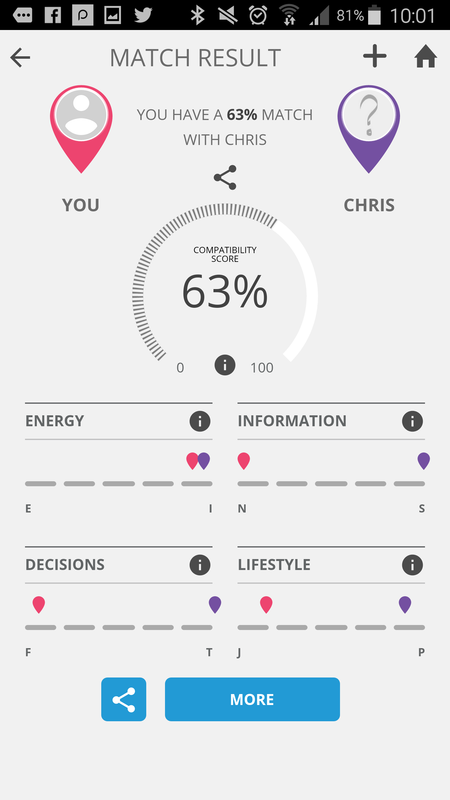 Like with most elements of life these days there is now a sophisticated App to measure and match your personality with your friend or mate. 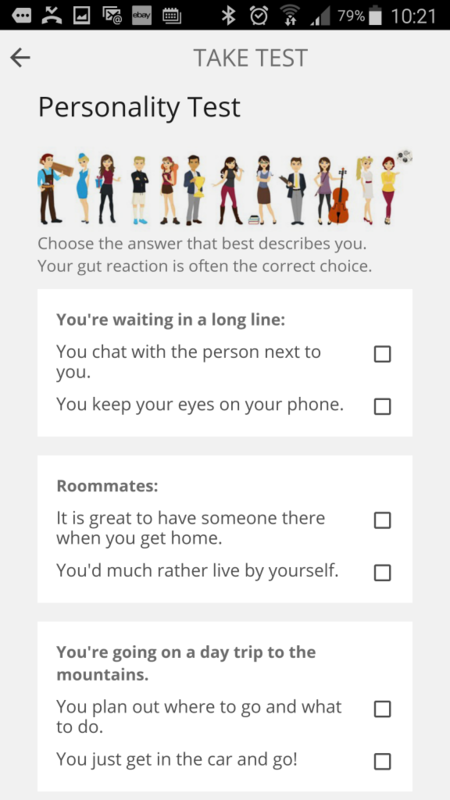 It’s called PersonalityMatch and you can download it from either the App Store or the Play Store and after carrying out your own personality test, you can invite friends to join you. 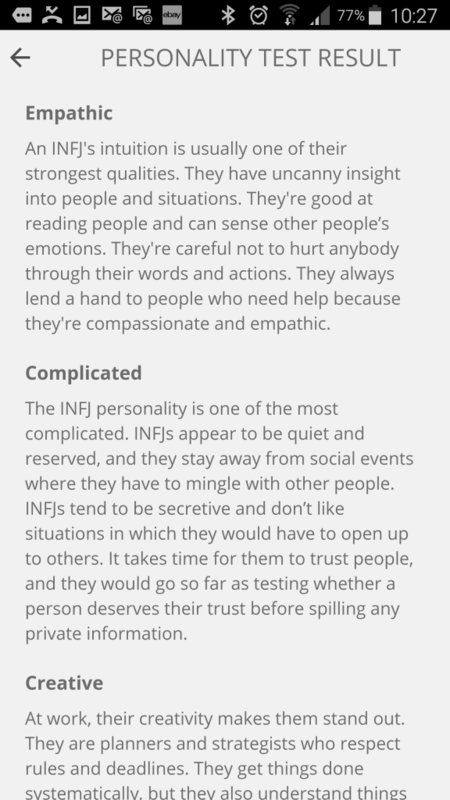 They will then take the personality test and then you will be able to match your personalities to assess compatibility. 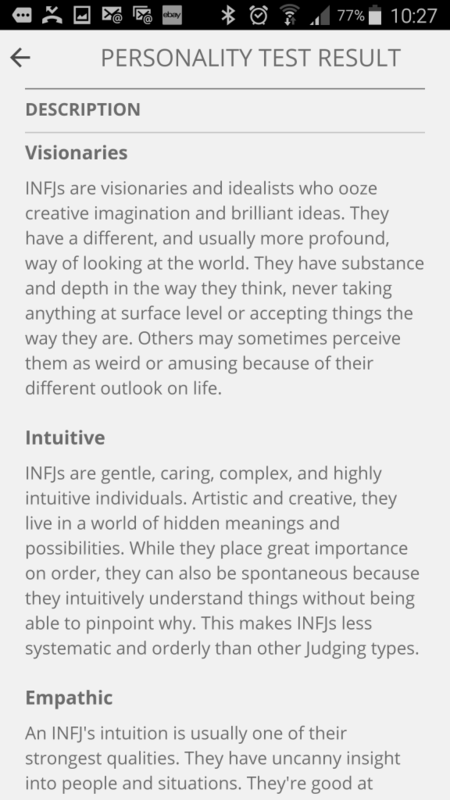 When you take the test you will get a summary of your personality like the above screen shot, and then you’ll get the option to get more detail on the analysis of your personality. It’s interesting to then have a look through this analysis and see how accurate you think the App has been in deciphering your personality traits. Having looked through mine, there isn’t a great deal I would disagree with. 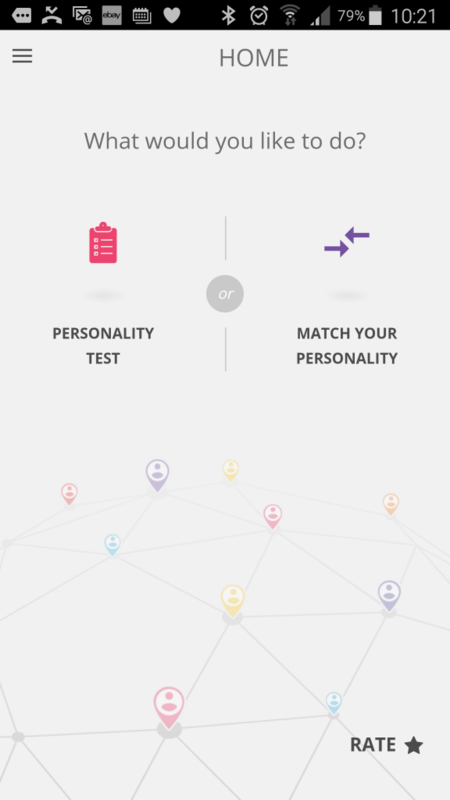 Once you’ve completed your own personality test, it’s time to invite others to join you! You can choose your friend or mate and then get a result that matches you and them, like this example below. Once again, you then have the option to read more detailed information about your match. You can examine your match on several areas of life and you will be shown where you sit on the spectrum and also where they sit. Remember though that a personality match does not mean that you think alike about everything, rather that you create balance for the other person and your personalities compliment each other. Have you seen anything like this before? Are you interested in how well or not you are matched to someone else? I think that it all makes really interesting reading but I have to say I can’t imagine screening someone before they made the ‘cut’ so to speak. I think it’s more of a fun thing to do with those you are already well acquainted with. I do think though, the analysis is pretty accurate! Good grief! I don’t need a phone app to choose my friends or find out if we’ll be “compatible”! I find myself talking to anyone, anywhere and have found some wonderful friends by just being, well… ME! The differences between people are what makes for interesting conversation, debate, laughter, sadness, empathy and proper friendship. I don’t want a clone of me, I want diversity!